As DIY’ers, we always get a little giddy when it comes time to chat about tools. (Yes, we’re nerds like that.) So, it should come as no surprise that we’ve covered tools here on the HireAHelper blog before. We outlined the 7 essential tools that EVERYONE should have in their toolbox, and we even showed you our tips to keep all of your tools organized and accounted for. Now it’s time to move up a level … to power tools! 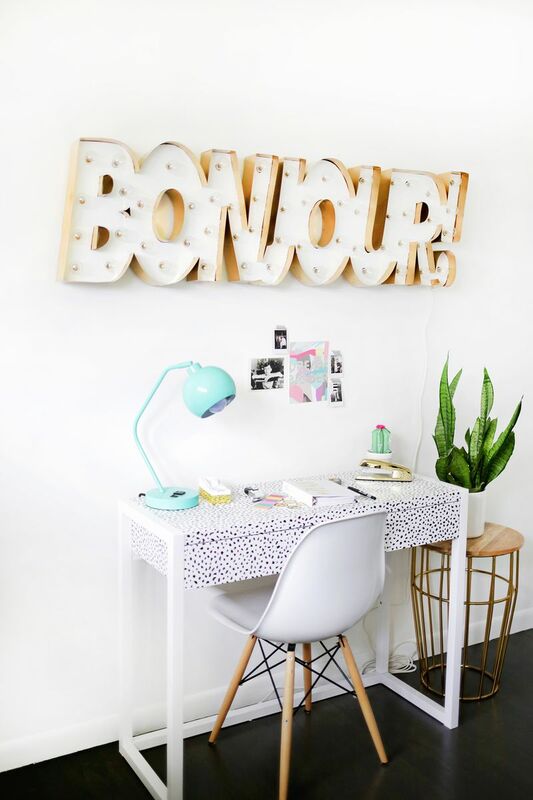 Just that word “power” may sound a little scary and overwhelming to the DIY newbies out there. But we promise there is nothing to be scared of because if even we can handle these tools, then pretty much anyone can. 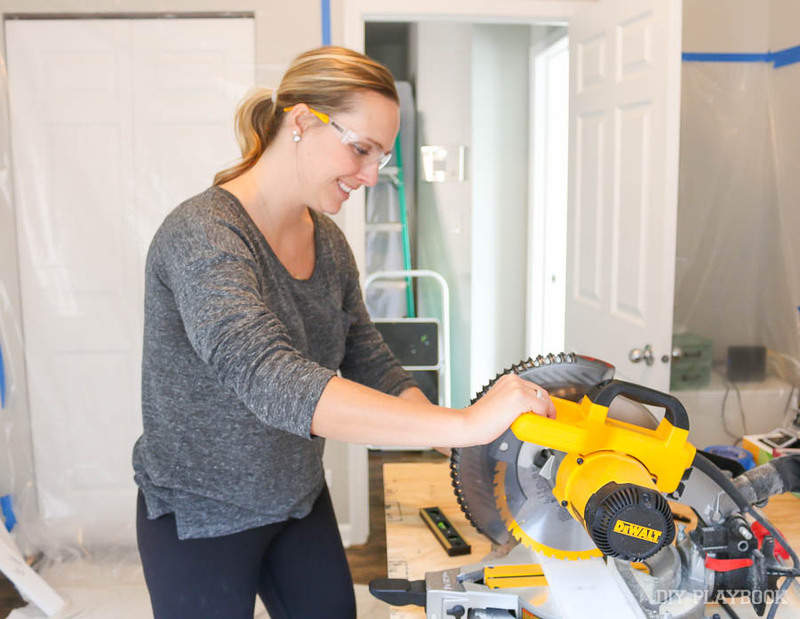 If you’re looking to spruce up your home, add to your tool collection, and just be an all-around rock star homeowner, then these are the first five power tools we suggest adding to your collection. We’ve also included the general range of prices you can expect to pay for each. This tool was already covered in our list of seven essential tools to own, but it’s a power tool too! And it’s quite possibly the most important tool to have, overall. 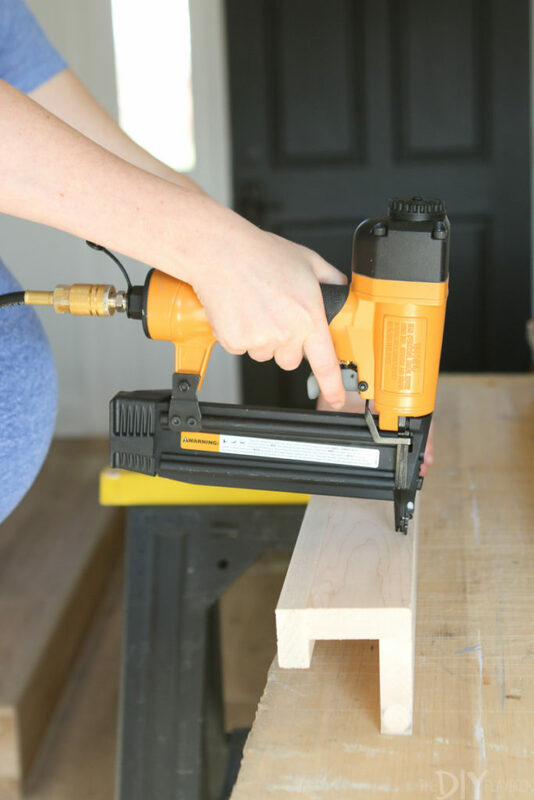 In fact, we believe every household needs a power drill (even if you’re a renter) because it can be used for pretty much anything. How do we know? 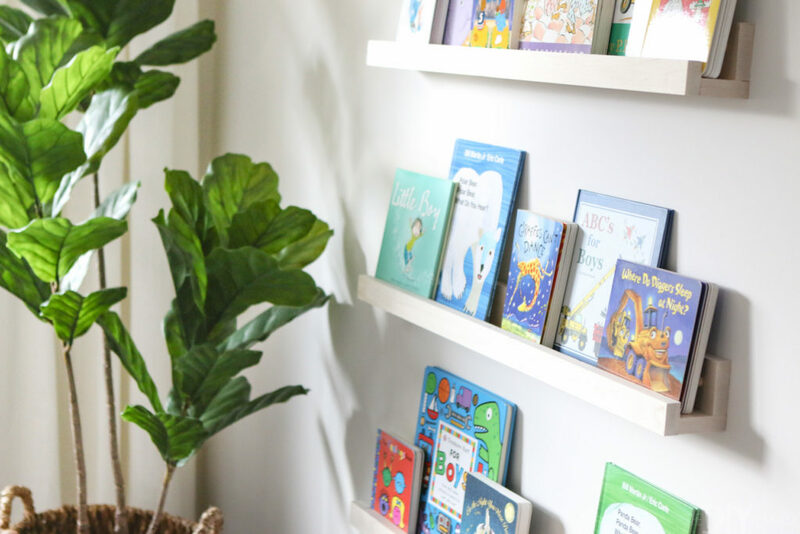 So many people in our lives have asked to borrow our drills (and we always oblige), but we quickly emphasize how they really should invest in their own. It’s a necessity! 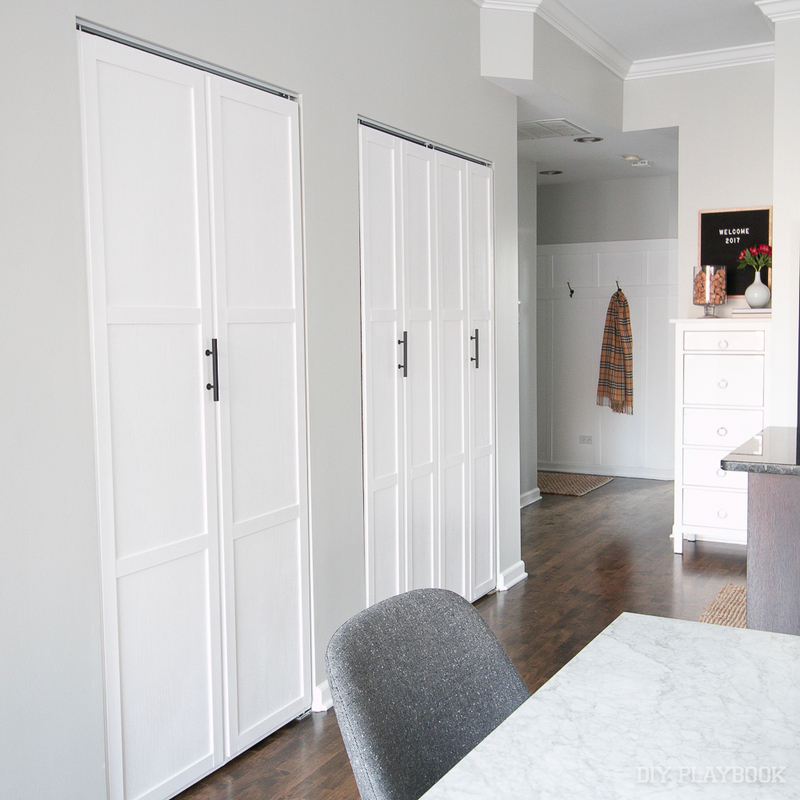 Trust us, it’ll make putting together Ikea furniture a heck of a lot easier. Shopping Tip: Power is measured by battery voltage and ranges from 6-18V. Higher voltage models come with extra power but are quite a bit heavier. We suggest going with a nice, middle-of-the-road 12V cordless drill. Also be sure to also pick up a variety of drill bits when you buy your cordless drill. 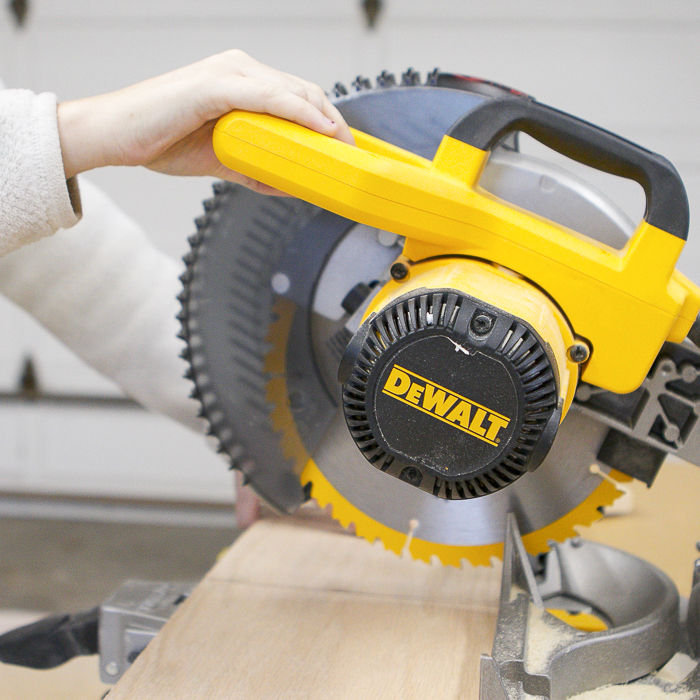 This was the first “real” power tool we ever bought and we’ve used it so many times since. Are you ever going to be touching wood? Don’t think you won’t use this because you absolutely will. It makes straight cuts, sure, but it’s also able to make incredibly accurate cuts at an angle. 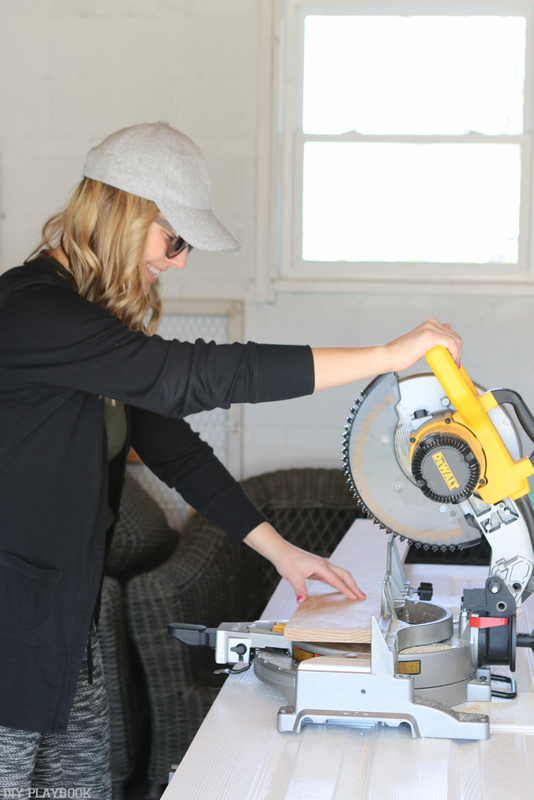 Shopping Tip: Consider the blade size when buying a miter saw (8, 10, or 12 inches). Yep, larger blades allow for longer cuts. We have a 10-inch compound Miter Saw. Oh, and be sure to pick up safety glasses and an extension cord when you invest. That way you stay safe, and your saw can reach any outlet when working away! Instead of using a hammer and nails for a project, you can use a nail gun and get the job done 100 times faster. 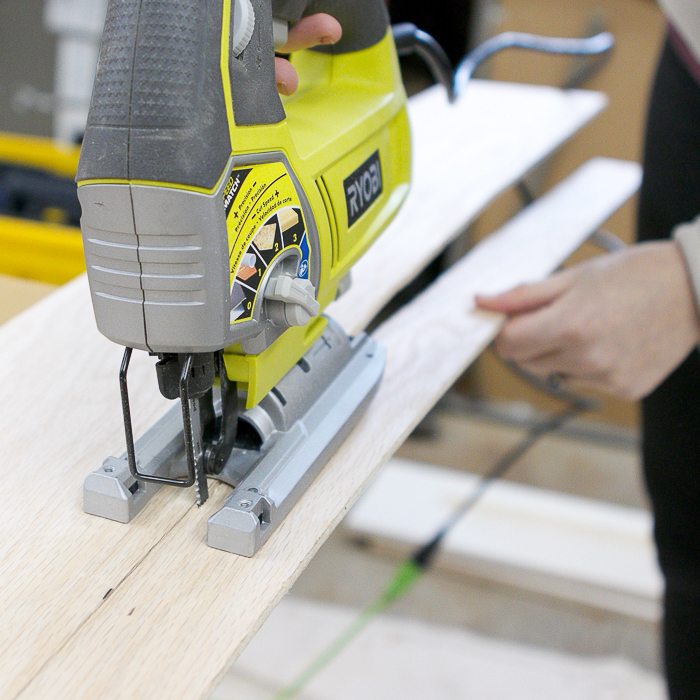 There’s a wide variety of nail guns out there, but we suggest going with a finish nailer. These come in handy when securing wood together or to a wall, and you can easily putty over the holes for a seamless look. 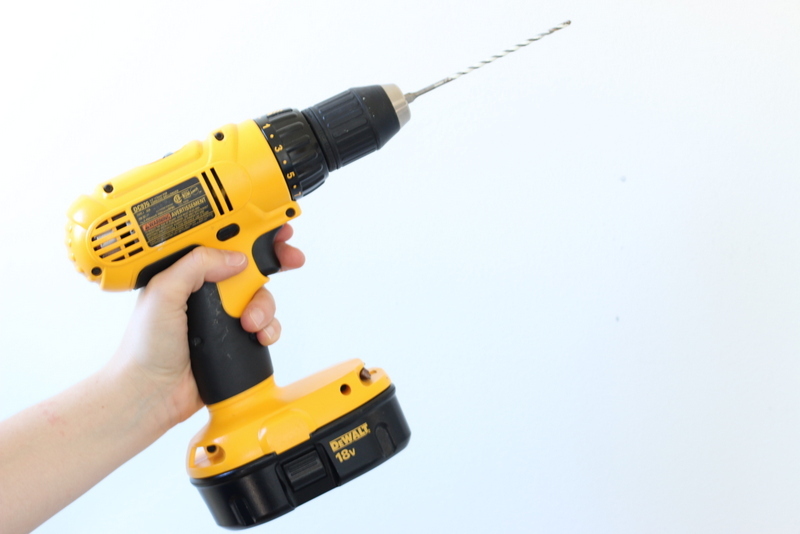 Shopping Tip: Nail guns can be gas-powered or air-powered, but we suggest going with an air-powered one. (Here’s the one we own.) When it’s plugged into an outlet, compressed air is used to drive the nails. Make sure you also pick up extra brad nails for your project and that they’re compatible with the brand/size of your particular nail gun. 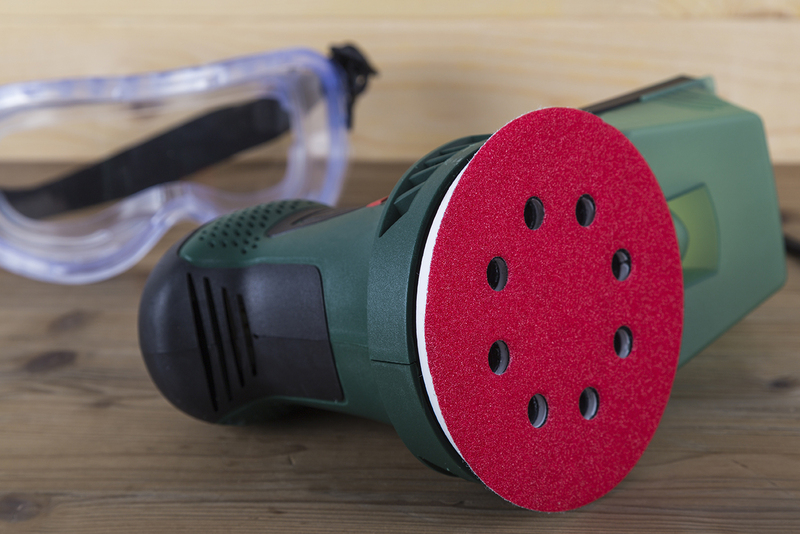 You’ve probably used sandpaper or a sanding wedge for a project before. And if you have, you know that your arm can get pretty tired when going back and forth over and over again. It’s time. Get a sander. You add sanding pads to the sander and when you turn it on the pads move in a circle, sanding the surface as you go. We’ve also ended up using sanders when refinishing old pieces of furniture. Shopping Tip: There are various types of sanders (palm, detail, belt, etc), but we use an orbital sander. Orbitals are lightweight and because they’re not too heavy-handed, it’s very difficult to damage the piece you’re working on. Be sure to buy extra sanding pads for your sander, so you always have a fresh one for your project. Oh, and a dust mask may come in handy too! What’s compact and relatively inexpensive? A jigsaw can be used to make both curved and straight cuts in a variety of materials (metal, plastic, wood, particle board, etc.). Whenever we are tackling a woodworking project, we almost always get out the jigsaw because there are bound to be some “wonky” cuts that don’t need to be straight or angled. 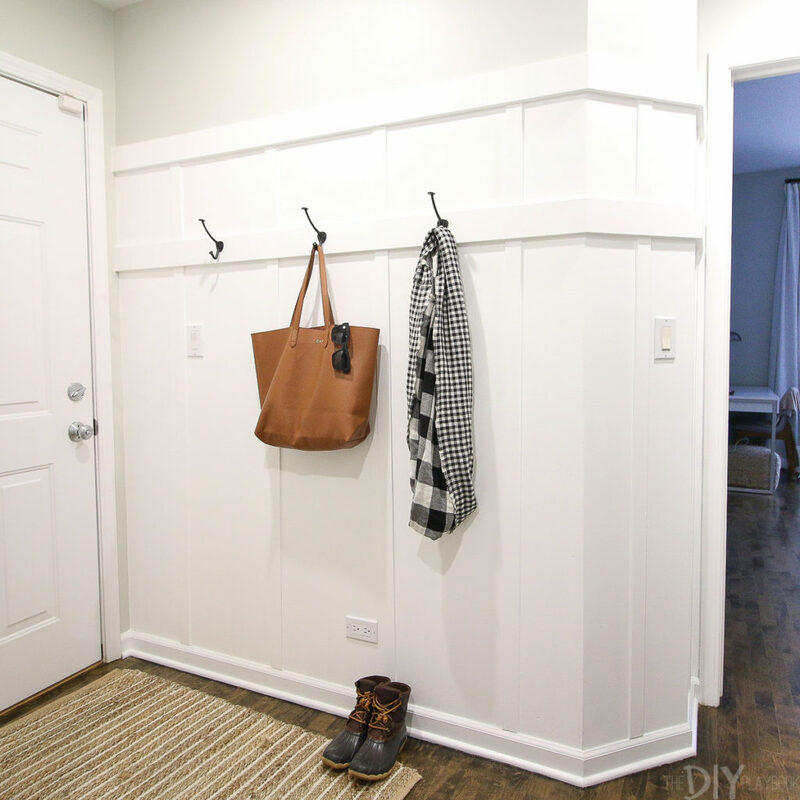 For example, if you’re adding shiplap to a wall and need to make room for an outlet … the jigsaw is the tool to get the job done! Shopping Tip: If you’re planning to use your jigsaw on tough materials, then you may want to buy a jigsaw with a cord. Here is the one we use. By far the most important thing to remember is that you need to buy the right blade based on the material you’ll be cutting! A jigsaw is isnt just useful and easy to learn, it’s pretty fun! 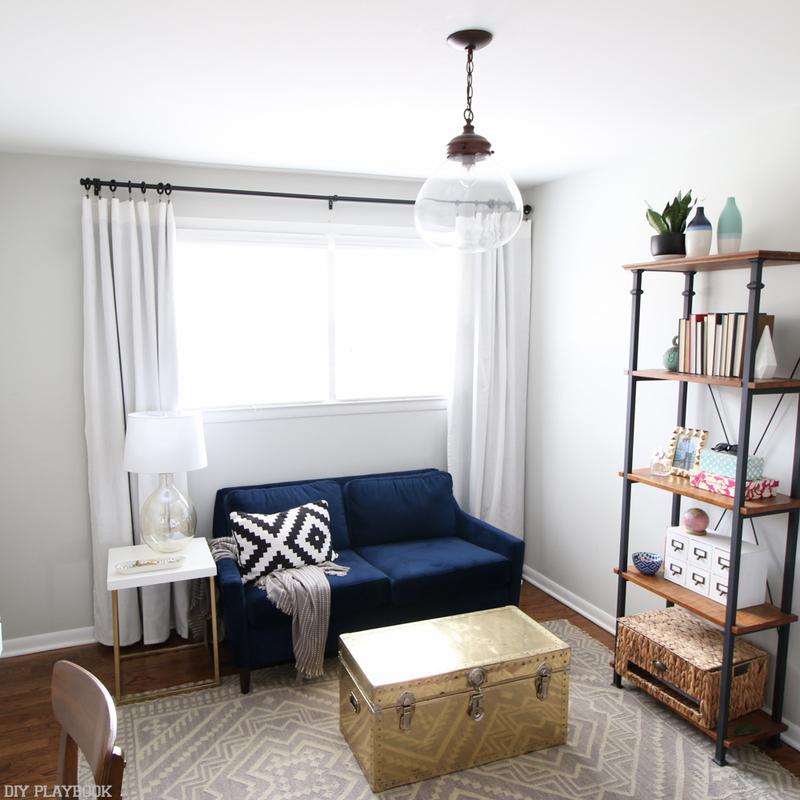 We hope this list gets you excited to start creating and building things around your home! Getting power tools means you can ditch the builder-basic look and customize a home that looks all your own.